Current Affairs 2016 Objective Quiz Questions practice should be an enduring part of IAS Prelims 2017 preparation as the UPSC IAS Prelims will require a deep consolidation and fundamental knowledge of the Current Affairs. Hence, we provide latest Current Affair quiz of December 2016 for IAS Preparation. UPSC IAS prelims preparation requires a deep consolidation and fundamental knowledge of the current happenings. 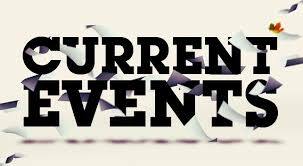 Current affairs should be prearranged keeping in mind the syllabus of UPSC IAS prelims and mains. Online IAS preparation has become favourite practice among IAS aspirants. For aspirants who are more techno-friendly, we are continuously providing IAS study material for them. For anyone who is aspiring good rank, current affairs should be given priority. We will continue to provide the current affairs questions for IAS Prelims 2017 to help you gain a better perception of how questions can be asked in the examination. 1) Declaration under the Scheme can be made by any person in respect of undisclosed income. 2) The deposits under this scheme are not interest free and have a lock-in period of four years. 3) The income declared under the Scheme shall not be included in the total income of the declarant under the Income-tax Act for any assessment year. • Declaration under the Scheme can be made by any person in respect of undisclosed income in the form of cash or deposits in an account with bank or post office or specified entity. • Tax at the rate of 30% of the undisclosed income, surcharge at 33% of tax and penalty at 10% of such income is payable besides mandatory deposit of 25% of the undisclosed income in Pradhan Mantri Garib Kalyan Deposit Scheme, 2016. The deposits are interest free and have a lock-in period of four years. • The income declared under the Scheme shall not be included in the total income of the declarant under the Income-tax Act for any assessment year. • The declarations made under the Scheme shall not be admissible as evidence under any Act. However, no immunity will be available under Criminal Acts mentioned in section 199-O of the Scheme. 1) The Disaster Management Act has statutory provisions for constitution of National Disaster Response Force (NDRF) for the purpose of specialized response to natural and man-made disasters. 2) NDRF is a distinguished, unique Force across the country functioning under the Ministry of Defence. The National Disaster Response Force (NDRF) is a specialized force constituted "for the purpose of specialist response to a threatening disaster situation or disaster" under the Disaster Management Act, 2005. The Apex Body for Disaster Management in India is the National Disaster Management Authority (NDMA). The Chairman of the NDMA is the Prime Minister. The responsibility for Disaster Management in India’s federal system is that of the State Government. The ‘nodal Ministry’ in the central government for management of natural disasters is the Ministry of Home Affairs (MHA). 3. India will take part in the Seventh edition of the joint military exercise called EKUVERIN with which country? The Seventh edition of Exercise EKUVERIN to conduct military training with emphasis on amphibious & counter insurgency/ counter terrorism operations with a view to enhance interoperability between the two armies wiill shortly be held at Kadhdhoo, Laamu Atoll, Maldives. The Exercise is a 14 day platoon level joint military exercise between the Indian Army & the Maldives National Defence Force conducted on a yearly basis. The previous edition of the exercise was held in India at Trivandrum, Kerala. 4. Which of the following statement best describes the objective of the Lucky Grahak Yojana and Digi-Dhan Vyapar Yojana? NITI Aayog announces the launch of the schemes Lucky Grahak Yojana and the Digi-धन Vyapar Yojana to give cash awards to consumers and merchants who utilize digital payment instruments for personal consumption expenditures. The scheme specially focuses on bringing the poor, lower middle class and small businesses into the digital payment fold. The primary aim of these schemes is to incentivize digital transactions so that electronic payments are adopted by all sections of the society, especially the poor and the middle class. It has been designed keeping in mind all sections of the society and their usage patterns. It has been decided that National Payment Corporation of India (NPCI) shall be the implementing agency for this scheme. 5. Rio de Janeiro has officially entered the UN’s list of world heritage sites. Which of the following statements is true regarding the cultural criteria for a site for Heritage site? 1) Nominated sites must be of "outstanding universal value"
2) If it represents a masterpiece of human creative genius and cultural significance. 3) If the nominated site is an outstanding example of a traditional human settlement. • If the nominated site represents a masterpiece of human creative genius and cultural significance. • If the nominated site exhibits an important interchange of human values, over a span of time, or within a cultural area of the world, on developments in architecture or technology, monumental arts, town-planning, or landscape design. • If the nominated site bear a unique or at least exceptional testimony to a cultural tradition or to a civilization which is living or which has disappeared. • If it is an outstanding example of a type of building, architectural, or technological ensemble or landscape which illustrates a significant stage in human history. • If the nominated site is an outstanding example of a traditional human settlement, land-use, or sea-use which is representative of a culture, or human interaction with the environment especially when it has become vulnerable under the impact of irreversible change. • If the nominated site is directly or tangibly associated with events or living traditions, with ideas, or with beliefs, with artistic and literary works of outstanding universal significance. 6. The project SACReD has been initiated to combat climate change and reduce greenhouse gas emissions. Which district under this project is to be made country’s first ever Carbon Neutral district by 2020. The project - 'Sustainable Action for Climate Resilient Development in Majuli' has been initiated by Assam Government with the aim to combat climate change & reduce greenhouse gas emissions. Mitigation through forestry activities & biodiversity conservation will be the starting points for the carbon neutral agenda. The project will be designed and implemented in partnership with other departments of the district for which a district level committee under the chairmanship of Deputy Commissioner has been constituted. 7. The Government has issued the notification for the Prevention of Cruelty to Animals (Pet Shop) Rules, 2016. Which of the following statements is not the feature under this rule? a. It will be mandatory for all pet shop owners to register themselves with the State Animal Welfare Board of the respective State Governments/Union Territories. b. It is mandatory to maintain proper records of sale, purchase, death of animals in pet shop, sick animals etc. c. Pet shops will be registered only after inspection by the representatives of State Board, a veterinary practitioner and a representative of Society for Prevention of Cruelty to Animals. The Government has issued the notification for the Prevention of Cruelty to Animals (Pet Shop) Rules, 2016 and the objectives of these rules is to make pet shops accountable and to prevent cruelty inflicted on animals kept in such pet shops. • It will be mandatory for all pet shop owners to register themselves with the State Animal Welfare Board of the respective State Governments/Union Territories. • Such shops will be registered only after inspection by the representatives of State Board, a veterinary practitioner and a representative of Society for Prevention of Cruelty to Animals. • The rules define space requirement for birds, cats, dogs, rabbits, guinea pig, hamster, rats and mice in the pet shops. • It defines the basic amenities, power back-up, general care, veterinary care and other operational requirement for animals kept in pet shops. • It is mandatory to maintain proper records of sale, purchase, death of animals in pet shop, sick animals etc. Summary: Current Affairs 2016 Objective Quiz Questions practice should be an enduring part of IAS Prelims 2017 preparation as the UPSC IAS Prelims will require a deep consolidation and fundamental knowledge of the Current Affairs. Hence, we provide latest Current Affair quiz of December 2016 for IAS Preparation. Meta Description: Read and view latest Current Affairs quiz for IAS Exam on the crucial issues and events of December 2016 important for IAS Prelims 2017. To help you gain a better perception of the questions, we are providing here some current affairs based questions on and many other crucial topics for IAS Prelims Exam Preparation. · Declaration under the Scheme can be made by any person in respect of undisclosed income in the form of cash or deposits in an account with bank or post office or specified entity. · Tax at the rate of 30% of the undisclosed income, surcharge at 33% of tax and penalty at 10% of such income is payable besides mandatory deposit of 25% of the undisclosed income in Pradhan Mantri Garib Kalyan Deposit Scheme, 2016. The deposits are interest free and have a lock-in period of four years. · The income declared under the Scheme shall not be included in the total income of the declarant under the Income-tax Act for any assessment year. · The declarations made under the Scheme shall not be admissible as evidence under any Act. However, no immunity will be available under Criminal Acts mentioned in section 199-O of the Scheme. · If the nominated site represents a masterpiece of human creative genius and cultural significance. · If the nominated site exhibits an important interchange of human values, over a span of time, or within a cultural area of the world, on developments in architecture or technology, monumental arts, town-planning, or landscape design. · If the nominated site bear a unique or at least exceptional testimony to a cultural tradition or to a civilization which is living or which has disappeared. · If it is an outstanding example of a type of building, architectural, or technological ensemble or landscape which illustrates a significant stage in human history. · If the nominated site is an outstanding example of a traditional human settlement, land-use, or sea-use which is representative of a culture, or human interaction with the environment especially when it has become vulnerable under the impact of irreversible change. · If the nominated site is directly or tangibly associated with events or living traditions, with ideas, or with beliefs, with artistic and literary works of outstanding universal significance. · It will be mandatory for all pet shop owners to register themselves with the State Animal Welfare Board of the respective State Governments/Union Territories. · Such shops will be registered only after inspection by the representatives of State Board, a veterinary practitioner and a representative of Society for Prevention of Cruelty to Animals. · The rules define space requirement for birds, cats, dogs, rabbits, guinea pig, hamster, rats and mice in the pet shops. · It defines the basic amenities, power back-up, general care, veterinary care and other operational requirement for animals kept in pet shops. · It is mandatory to maintain proper records of sale, purchase, death of animals in pet shop, sick animals etc.